Remember those homework assignments that we put off until the last second? Or deadlines at work that we're desperately trying to meet the night before? We've all done it. You convince yourself that there's just not enough time in the day to do what you need to do, but tomorrow you can get it done. Of course, when tomorrow turns into today, the same thought takes over again, and eventually, it becomes a last-minute rush and you find yourself muttering "I wish I had more time." Thing is, you had it. You just didn't have enough discipline to make use of it. Isn't it funny how there's "not enough time to do everything," but there's always time to see that new movie, head to the ballgame, or go on a shopping trip? That's just human nature. We make time for the fun stuff because it's, well, fun. However, you can't really justify saying you don't have enough time to get work or chores done when you easily make time for the fun things. Even laying in bed and giving the snooze button a few whacks is time that could be spent doing other things. Sure, you need to make time to relax and wind down, but balance that with some discipline so you can go to bed feeling good about the way you spent your day. You can't find your keys. You forgot something you needed at the store, and have to make a second trip. You can't find that super important work email in your messy inbox. Things like this can really eat into the time you have available throughout the day. Ten minutes here, 20 minutes there, and before you know it, you've wasted two precious hours and gotten nothing done. A little multitasking here and there is fine. However, when you decide that the best way to get everything done is to attack it all at once, you're going to run into all kinds of problems. First, your focus is divided between several tasks at the same time, and that will mean each job is only getting a fraction of the attention it deserves. You may also need to be in a different mindset to do one job, and it can negatively impact the work you're doing on the others. 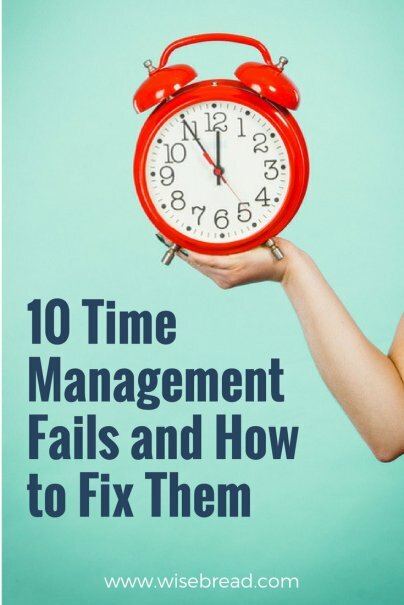 When people rush, they inevitably make mistakes that have the exact opposite impact, and they spend more time fixing mistakes than if they had just slowed down and done it right the first time. While it may seem like going faster will get it done faster, it will probably just create problems for you. So, take a breath, slow down, and work at a steady and manageable pace. People who are on top of everything know exactly what they want to achieve. Usually, their goals are written down and planned out, weeks or months in advance. Not only that, but every goal is crystal clear. Day one, go through all old paperwork, shred, and file. Day two, find items to donate. Day three, find items for a garage sale. And so on. "Clean the garage" is daunting and feels massive. Breaking the goal into clear steps with deadlines makes life way easier. When you do something, you don't just want to do it well, you want it do it flawlessly. So cleaning the kitchen takes all day instead of half an hour, as you sit on the floor with a toothbrush and a bleach solution getting into every crevice and tile. Cleaning the junk drawer becomes a task that sends you to the store for a new set of containers, and bags, and labels, and zip ties. Tasks that should take minutes take hours, and hours turn into days. Simply by easing off and doing a decent job, not a perfect one, you can save so much time. How many of us have spent an hour or more in front of the TV trying to find something good to watch? By the time we land on the perfect movie or show, there's no time left to watch it. The same can be said of deciding on meals to prepare, clothes to buy, or places to visit. Too much time is spent on the act of making a decision, and not enough time spent doing what needs to be done.